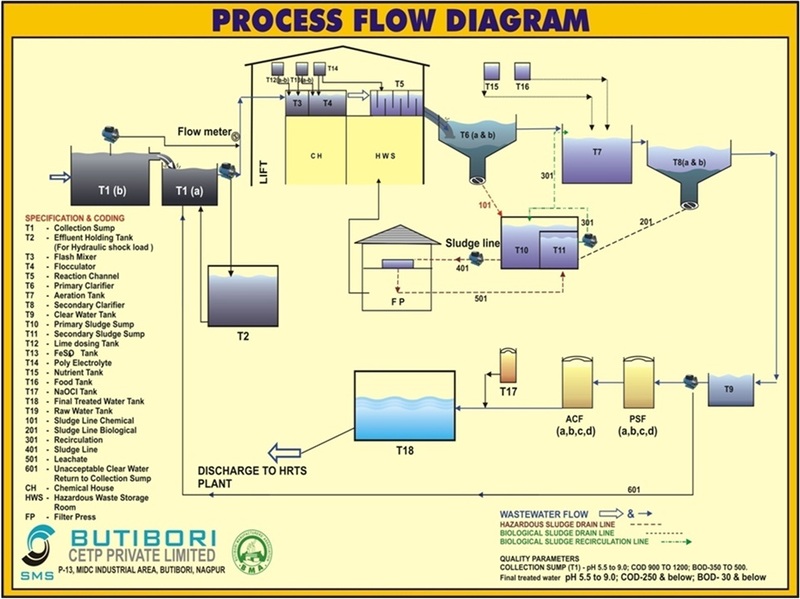 Physico Chemical Treatment (Primary Treatment), Secondary Treatment, Biological Treatment , Activated Sludge Process,Tertiary Process | BUTIBORI CETP PVT.LIMITED. The waste water is received at collection sump at CETP is equalized & transferred using Raw Effluent Transfer pump to physicochemical treatment section of the CETP. Hence effluent is given treatment with Lime solution in flash mixer to raise pH of the effluent to 8-8.5 .Effluent from Flash mixer is taken to Flocculator where again Ferric Alum is added to carry out and coagulation of suspended & precipitated particle. Polyelectrolyte (Cationic) is added to carry out flocculation of coagulated mass. PH is maintained between 7 to 7.5. Flocculated mass is settled in primary flocculator and supernatant is further send for secondary or activated sludge treatment. Sludge from flocculator bottom is drained at regular interval. 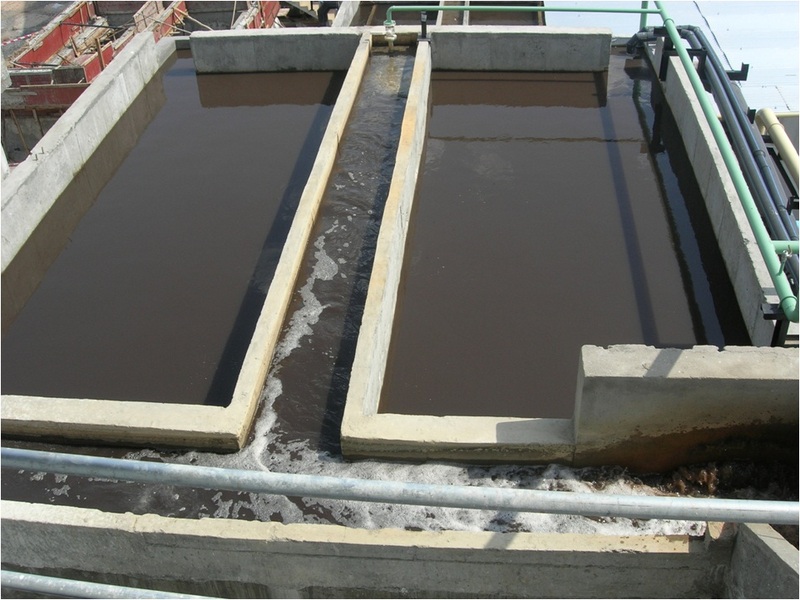 Activated sludge process is selected for biological treatment for effluent. Here soluble BOD is stabilized by oxidation of organic matter by microorganism. 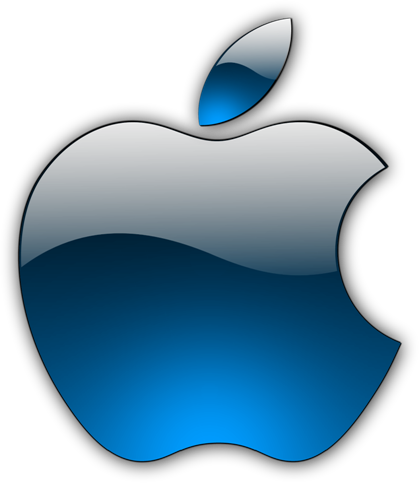 Microorganisms are supplied with oxygen and nutrient necessary for their metabolism. Oxygen required is provided by air blower through non clog type diffuser membrane to achieve high rate of oxygen transfer efficiency. Mixed liquor overflow from Aeration tank is taken to secondary clarification process for the separation of micro-organism from treated waste water under gravity. Bottom sludge from secondary clarifier is returned back to Aeration tank and recycle ratio is decided based on the design MLVSS level in the aeration tank. Excess biomass is discharged through sludge handling system. Nutrient (DAP) & food (Urea) is additional fed to aeration tank from respective tanks. 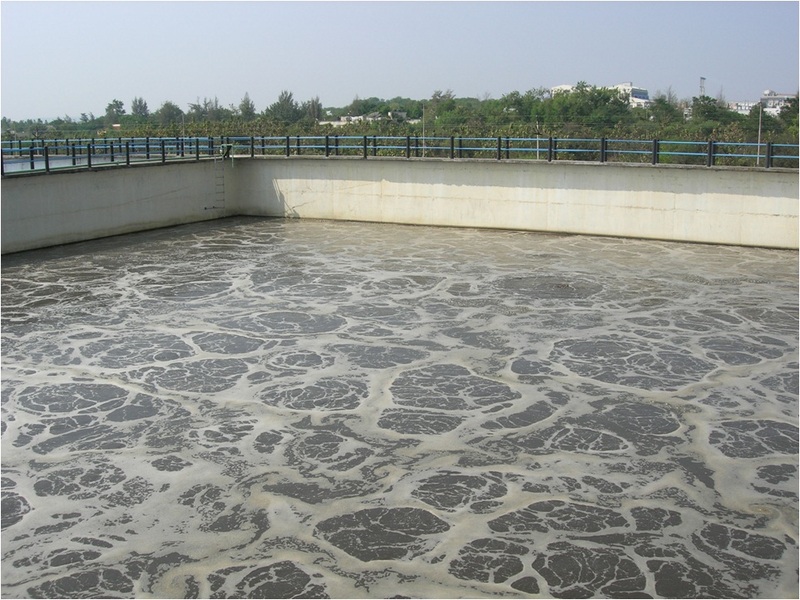 The secondary treated water from clarifier is treated with Hypo solution (chlorine) for disinfection purpose. 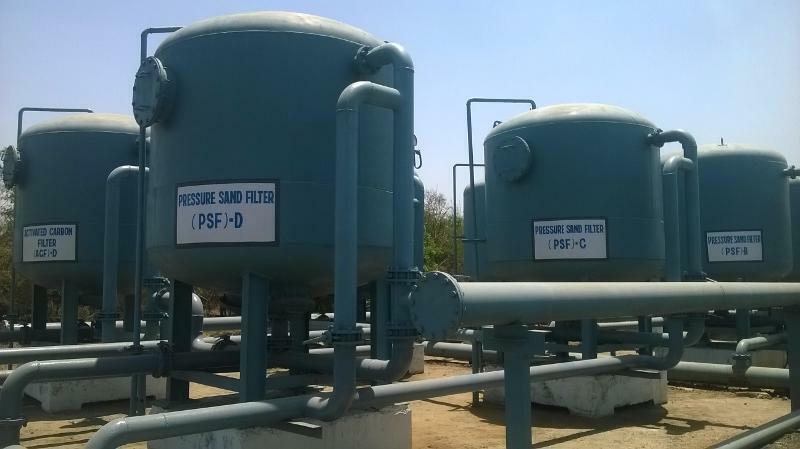 Pressure sand filters consist of a sand bed which is made up of layers of sand, Pebbles & Gravels. The water from holding sump enters the PSF from the top & flows down the filter bed during which the suspended solids are retained on the filter bed. The effluent from the PSF is passed onto the next PSF in series and the output of the last PSF is then sent to the ACF which removes the chlorine and dissolved impurities. When the PSF becomes saturated with suspended solids after a period in use, they are backwashed or pressure washed to remove the solids. This backwash water is run into settling tanks so that the solids can settle out and it is then disposed of as waste material. Further this tertiary treated water is disposed to HRTS which operations are under MIDC purview.